Early mornings and perishable stock but this is still a blooming good business. Running a florist is something that takes more than just passion. In order to make a profit selling flowers, you will have to have creative talent, be very organised and be good with customers. But, if you are as good at arranging your time as you are at flowers, then a florist may be the exact right business for you. With supermarkets selling basic flower arrangements, finding what it is that sets you apart will be what makes you successful. Although the most obvious thing that could help you do this is your creative style and the arrangements that you produce, there are other ways of doing this. You could focus on the way you market and your target audience, or you could identify a particular events industry that you can supply on repeat. Whatever it is that you find that makes you unique, focus on it and build your business around it. There are no shortcuts to running a florist business. If you want the business to be successful, you will need to be there yourself day in and day out. This means early starts so that you can be at the flower market to pick out and buy the flowers that you will need for that day. Handing over responsibility to an employee is risky. Their personal style might be different to yours and they do not have as much riding on the business’s success as you do. Florist businesses are different from other service or retail industries. They are a mix of both and the stock won’t last. Before you buy a florist, make sure that this is something that you want to do for the long-term. Once this business is yours, you won’t be able to just walk away when the early mornings become too much. Buying an already established florist can save you money and time in the beginning but there are no shortcuts to running a successful business. This is a difficult business to make a profit in. When you are setting out to buy your perfect flower shop, make sure that you consider the kind of footfall that you get in the area. Once you have purchased your business you may want to think about diversifying your stock so that not everything is perishable. You could stock some potted plants and accessories to go with flowers like vases. A florist business will likely have a small staff because the low-profit-margin will not be able to sustain too many salaries. This means that you will have to make sure that you hire the right people for your team. You will want to employ people who understand your creative vision and people that you get along with and trust. If there are already employees at the company that you buy, then spend time getting to know them and spend time showing them how you envision the business. The time that you spend on your employees will come back tenfold in the future. Don’t fall behind by neglecting your business’s online presence. 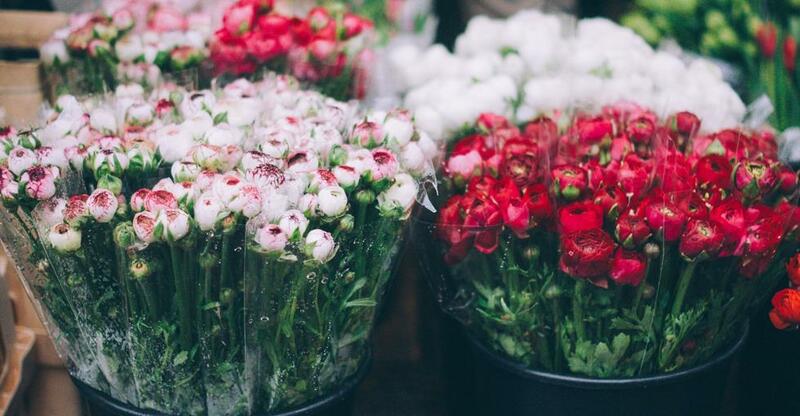 Flowers are an attractive product to market and you can take advantage of that by making sure that you have up to date and active social media accounts for your business. You may want to consider allowing for online orders so that you can keep relevant and don’t have to rely too heavily on footfall. These extra parts of your business will mean extra work or having to employ someone to do it for you so factor this into your business plan before you set out to run your own florist business. Despite the challenges that can come with running a florist, this type of business is one that most florists fall in love with. Being surrounded by fresh flowers every day, using your creativity and being your own boss is something that makes running a flower shop a dream business.